Exclusive to Christi Harris, the Precision Brow Planer™ offers perfect, painless, precision brow grooming and shaping at your fingertips. Deliberate in its design, the Brow Planer™ eliminates ingrown hairs and redness from tweezing, waxing and threading to create beautiful brows. Starting at the top of the brow, place the Precision Brow Planer™ flat against the skin. With a gentle, downward stroke remove fine hairs above the brow creating a clean line. Do not plane into the brow, stop at the brow line. Use care NOT to remove the arch/peak. Repeat the technique from the side along the "tail" of the brow, planing™ just to the brow map. Again avoid the removal of the inverted 'v' of the arch/peak. Underneath the brow, place the very tip of the Precision Brow Planer™ to the skin, slide against hair growth gently lifting hair upward. Gently press down, remove only hairs outside the brow map. 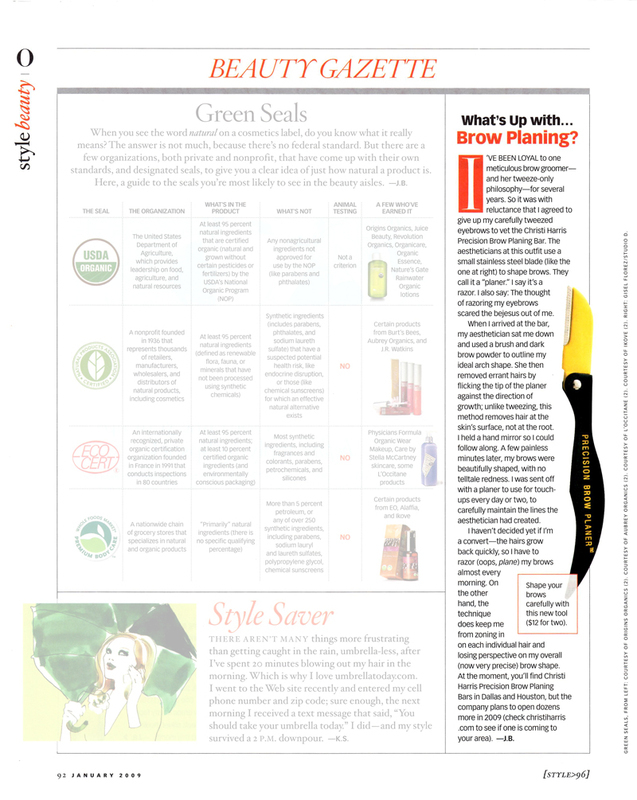 NOTE: Instead of tweezing stubble as it comes in use the tip of the Brow Planer™ for quick and painless removal. Brow plane between the eyes using the same gentle downward motion or side-to-side, just to the brow map. I Love the Precision Brow Planer. No more plucking my eye brows. Just carefully move the planer along the brow line and you have beautiful brows. What I especially like is if there are a lot of stray hairs underneath the brows, this will swiftly take them off. No redness, just beautiful brows! You have to try this. Once you have you won't go back..